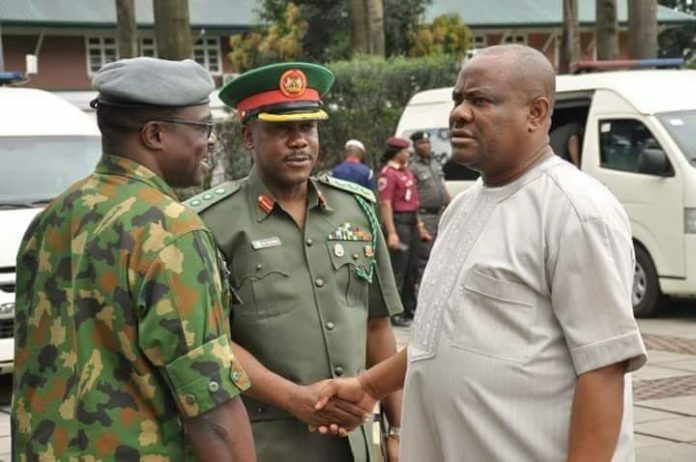 Service Commanders of the Rivers State Security Council on Monday paid a condolence visit to the Rivers State Governor, Nyesom Ezenwo Wike over the passage of the State Attorney General and Commissioner for Justice, Hon Emmanuel Aguma (SAN). 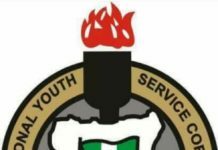 The Service Commanders who were led by the Assistant Comptroller of Nigeria Customs Service, Zone C, Sanusi Umar comprised of the Nigerian Army, Nigerian Air Force, Nigerian Navy, DSS, Nigerian Police, Civil Defence, NDLEA, Nigerian Immigration Service, Customs and FRSC. Umar described the Late Attorney General of Rivers State as a very reliable and industrious public officer. While condoling with the Government and People of Rivers State on his his sudden demise, the Assistant Comptroller of Customs said Late Aguma was a true professional. Responding, Rivers State Governor, Nyesom Ezenwo Wike reiterated that the Late Attorney General of Rivers State was one of the best hands in the State Executive Council. 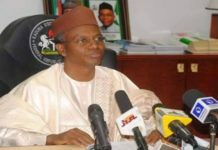 He said that it will be difficult to find a replacement for him as he was an embodiment of selfless service, professionalism and loyalty. Governor Wike explained that he noticed that the Late Attorney General of Rivers State was ill during the series of commissioning. 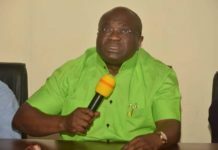 He said though the Attorney General offered to witness the commissioning of National Industrial Court, he insisted that he should travel for urgent treatment. The governor said that the passage of the Attorney General of Rivers State is very devastating at this time. “No matter how painful it is, we cannot question God. Everything will be done to give him a befitting burial”. Governor Wike said that consultations are on with all major stakeholders to arrive at the burial date for the Attorney General of Rivers State. The Rivers State Security Council later moved to the family of the Late Attorney General of Rivers State where they condoled with his aged mother. At the home of the Late Attorney General of Rivers State , very prominent Rivers leaders are condoling with the family. Former Rivers State Governor, Dr Peter Odili and his wife, Justice Mary Odili were on ground to pay their condolences.